People gathered across our villages yesterday to celebrate Independence Day and show their strength to move forward together for the future. 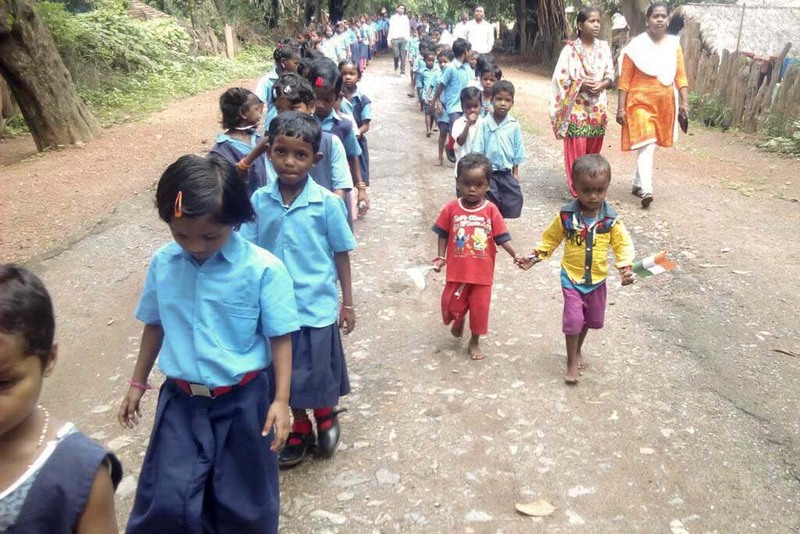 In village schools, community centres and streets, they joined hands and pledged their commitment. 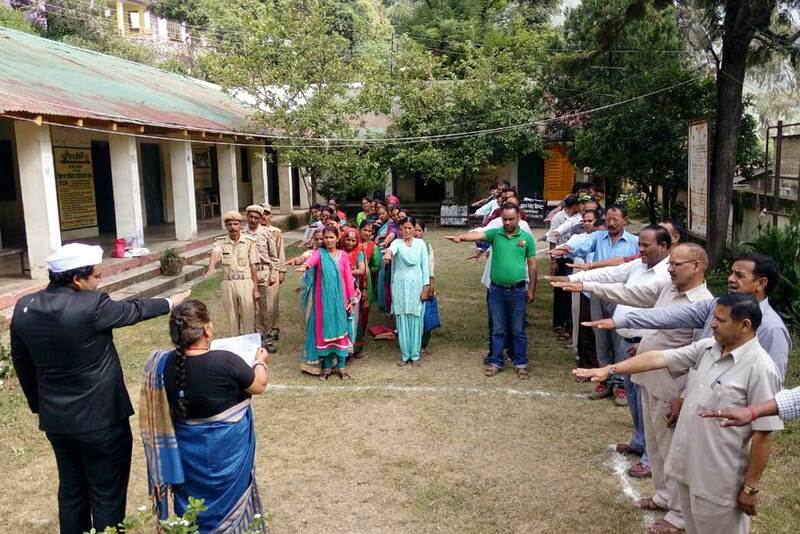 In Dunda, Uttarakhand, for example, 36 women with Amrita SeRVe SHGs took part in an event along with 40 government employees. They also promised to continue Amma’s Amala Bharatam Campaign, a programme to clean up India’s public places and national highways. Meanwhile in Amritapuri, Amma helped raise the Indian flag and all gathered around to salute while the national anthem was played.